Selection of wholesale 9 carat White Gold Diamond Rings. Brilliant cut Diamonds set into White colour 9ct Gold hallmarked setting of various Diamond ring styles. White .375 Gold Full Eternity Rings,Cluster,Channel set Diamond rings,Solitaire 9ct White Gold Diamond Rings and many other elegant designs. 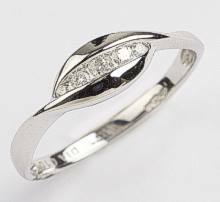 9 carat White Gold wide Band Ring set with 10 Diamonds in split row design. 15pt Diamonds White Gold fancy Ring. 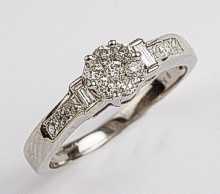 9ct White Gold channel set scroll design Diamonds ring. 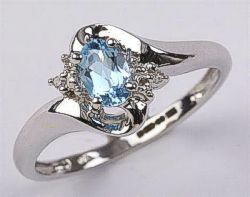 9 carat White Gold Ring set with Blue Topaz stone and Diamond shoulders. 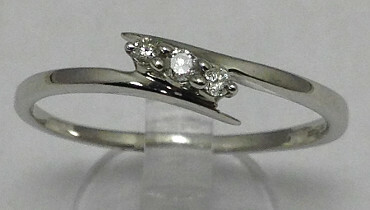 9ct White Gold band ring with 5 channel set Diamonds in boat setting. 10 points total Diamond weight set in 9 carat White Gold Ring. 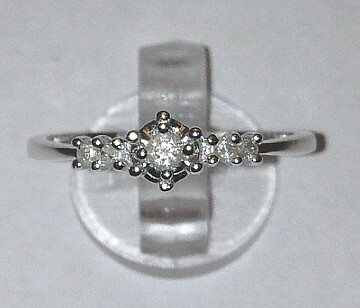 9ct White Gold Flower design Diamond cluster ring with Diamond set shoulders. Stunning White Gold Ring with 0.50 Ct Diamonds in fancy elegant setting. 9 carat White Gold Full Diamond Eternity Ring. 25 points of natural Diamonds set in full eternity white Gold Ring. 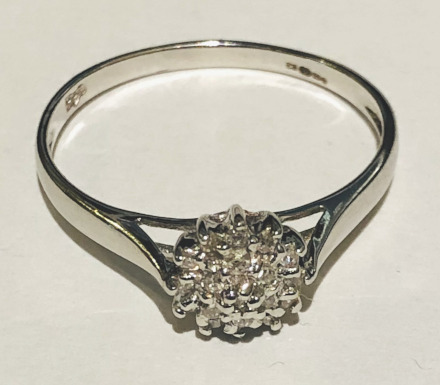 20pts Diamonds 9 carat White Gold Ring. Double row style Diamonds setting in 9ct White Gold. 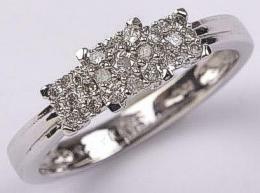 9ct White Gold 0.10 Carat Diamonds tiered Cluster style ring. 9ct White Gold Large 0.33 Carat Diamonds tiered Cluster design Ring. Four tier Diamonds Cluster large 12mm wide White Gold Diamonds Cluster spectacular Ring. 9 carat White Gold Diamonds and central Large Blue Topaz stone Ring. 9 carat White Gold Ring set with 19 Diamonds in lattice design with Diamond set shoulders. 9 carat White Gold Diamond Ring with three Square Clusters of 9 Diamonds in each Cluster. Very elegant ring with 0.25 Carats of Diamonds total in 3 graduated Cluster settings. Engagement Ring set with 0.10 Carats of Diamonds. 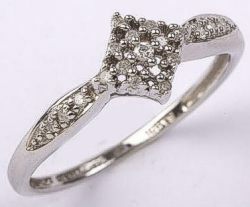 9 carat White Gold Ring with Diamonds set in open basket prong design setting.